With some big name comebacks, veteran returns, and perhaps a goodbye, TVB’s upcoming year is looking to be more promising than the year before it. Here are five of the most anticipated TVB dramas for 2019. 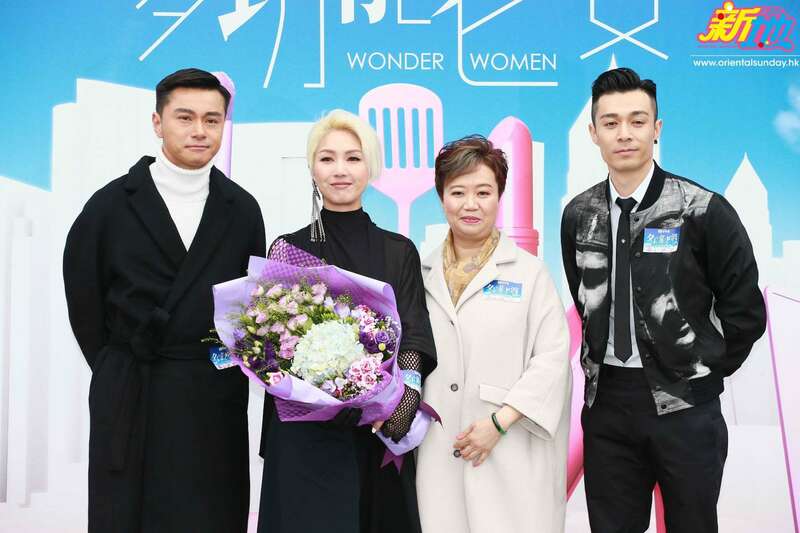 Starring award-winning singer-songwriter Miriam Yeung (楊千嬅) in her big TVB comeback, Wonder Women tells the story of Lam Fei (Yeung), a “multi-functional” housewife happily married to her successful husband Sheung Kim-hung (Raymond Wong 黃浩然). The happiness doesn’t last long, however—after it is discovered that her husband had been unfaithful, he leaves for Mainland China, leaving Fei to raise their son on her own. She rents out a part of her apartment to the young and wealthy Wing Ho-tin (Pakho Chau 周柏豪), who becomes her biggest support when she decides to start her own business. As life seems to settle down for Fei, Kim-hung suddenly comes back into her life, vying for her heart again. Not including co-productions, Wonder Women is Miriam’s first TVB drama in nearly 18 years, her last being 2001’s A Taste of Love <美味情緣>. 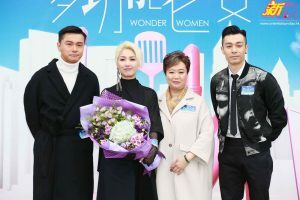 Wonder Women is produced by Ella Chan (陳寶華) (A Kindred Spirit <真情>, Fate of the Clairvoyant <再見亦是老婆>) and also stars Alice Chan (陳煒), Rebecca Zhu (朱晨麗), Tony Hung (洪永城), and Jinny Ng (吳若希). It is also the TVB comebacks for veteran actors Melvin Wong (黃錦燊), Nora Miao (苗可秀), and Eva Lai (黎燕珊). 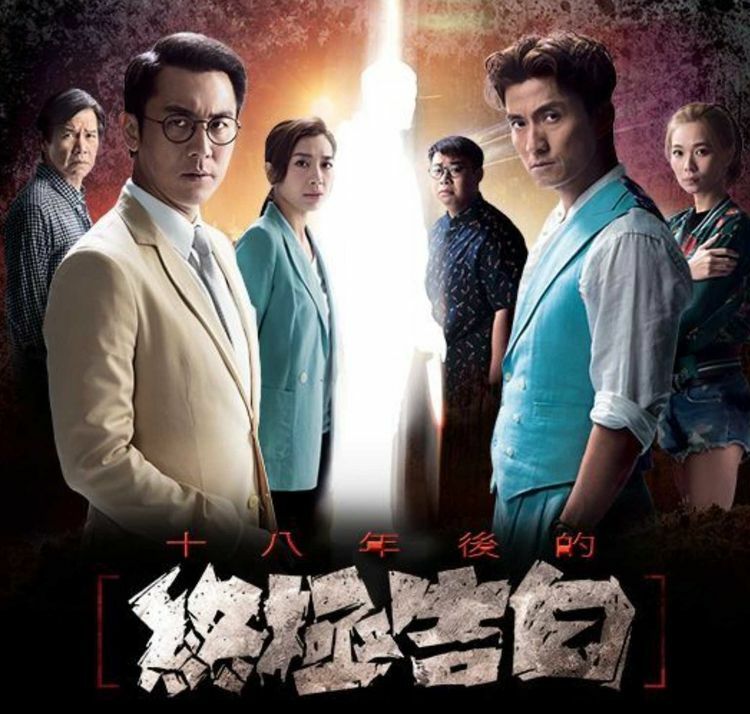 Starring Roger Kwok (郭晉安), Kenneth Ma (馬國明), Matthew Ho (何廣沛), Natalie Tong (唐詩詠), Ali Lee (李佳芯), Kelly Cheung (張曦雯), and Crystal Fung (馮盈盈), Big White Duel centers on the doctors and surgeons working for a Hong Kong public hospital, set in the backdrop of a financial crisis that could plague the health industry. Dr. Yeung (Kwok), the vice president of Ming Sing North Hospital, has hopes to change the system around, but consultant doctor Dr. Tong (Ma) has his doubts. 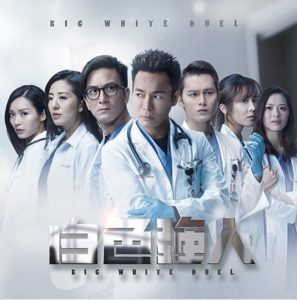 Highly anticipated, Big White Duel was filmed in multiple hospital locations across Hong Kong and Shenzhen. Each hospital and surgery scene was also shot with the assistance of a consultant doctor. Big White Duel will be Roger Kwok’s last TVB drama as a managed artiste, as the veteran actor has recently announced that he has signed under Wong Cho-lam’s (王祖藍) new agency. Big White Duel also stars David Chiang (姜大衛), Ram Chiang (蔣志光), and Willie Wai (韋家雄). Once known as the King of Killers, Victor (Wayne Lai 黎耀祥) lost his former glory in a case that killed his wife and blinded his daughter. Zero (Moses Chan 陳豪) is the underground’s new hitman star, having succeeded in multiple contracted killings. However, he bears the burden of needing to avenge the death of a friend. The two hitmen meet upon chance, and they discover that they have a common enemy—the Taiwanese triad boss Or Ching-hung. But just as one chapter is finished, another starts again, and both Victor and Zero find themselves in a dog eat dog world, where even hitmen are in danger. 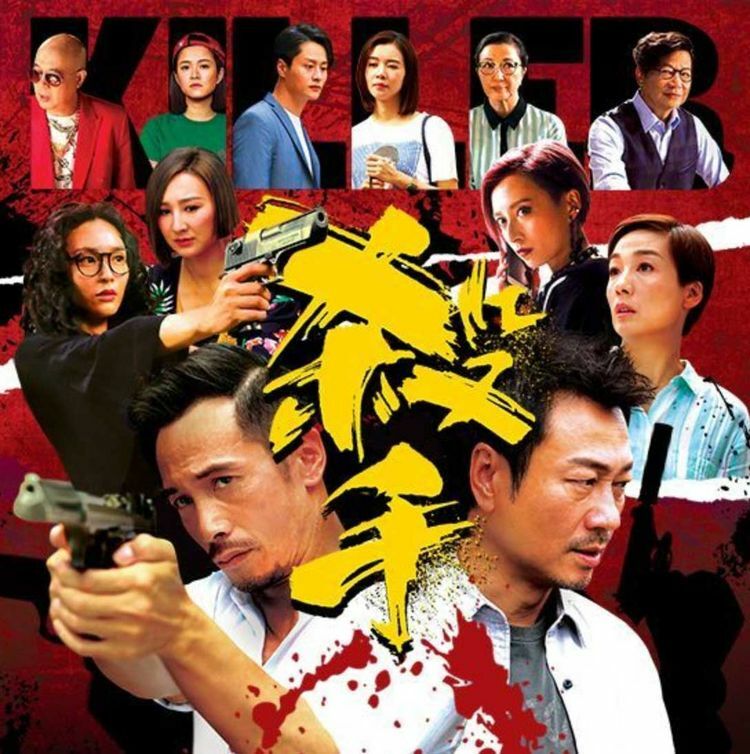 Produced by Joe Chan (陳維冠), Killer also stars Elena Kong (江美儀), Ali Lee, Katy Kung (龔嘉欣), Samantha Ko (高海寧), Louisa Mak (麥明詩), and Kaman Kong (江嘉敏). The Defected has all the elements that Hong Kong film excels in—a crime thriller, featuring a recovering former undercover with PTSD and an ambitious superintendent who wants to control Hong Kong with an iron fist. It stars Benjamin Yuen (袁偉豪) as the undercover (UC) Jadrien, who miraculously survives a bullet to the head after he attempts to save another’s life. The shooter turns out to be Bingo (played by Philip Keung 姜皓文), another UC, who was formerly under Chief Superintendent Maggie Man (played by Kara Wai 惠英紅). Due to disagreements with Chief Superintendent Vincent Kan (played by Shek Sau 石修), Maggie betrays Bingo, leaving Bingo to to turn his loyalty to the triads. However, Bingo’s camaraderie for his fellow cops never strayed, and Jadrien becomes a chess piece in an internal police war. The Defected has a strong cast—led by rising star Benjamin Yuen, it stars film queen Kara Wai, returning veteran actors Shek Sau and Hui Shiu-hung (許紹雄), as well as film actor Philip Keung. It also stars Ben Wong (黃智賢), Sisley Choi (蔡思貝), Mat Yeung (楊明), Grace Wong (王君馨), and Oscar Leung (梁烈唯), who recently won TVB’s Best Supporting Actor. 18 years ago, a silly fight led to the death of one among seven childhood friends. 18 years later, the friends are already leading separate lives, with successful careers and new families. The body of their deceased friend suddenly appears, and the friends have to once again face their past. The Final Confession stars TVB newcomer and Best Actor nominee Shaun Tam (譚俊彥), alongside promising actors Joel Chan (陳山聰), Mandy Wong (黃智雯), Vivien Yeo (楊秀惠), Candice Chiu (趙希洛), and Anthony Ho (何遠東). It also sees the return of veteran actors Dominic Lam (林嘉華) and Elvina Kong (江欣燕) in TVB. 1. Miriam needs to stick to singing… PASS for sure! 2. Funny how Ali Lee, the TV Queen, is at the back of the poster. I like Roger Kwok, but his acting seems to be receding in recent years. Maybe because he only films for TVB and that there’s nobody there to push him to become better. I’ll likely pass unless the reception is strong. 4. Why is Kara Hui and Philip Keung involved with a TVB production? They should be involved with better projects than be playing babysitter at TVB. I’ll likely pass again, only if the reception is good. 5. I like Joel. I like Dominic. Dislike Mandy. I’ve never seen Shaun act. Again, I’ll likely pass, it depends on the reception.. as I haven’t seen any trailers. A few shows that I MIGHT be interested in catching in the upcoming year, though there are none that I am actually looking forward to watching, nor that I am optimistic about, and if I don’t watch it, I could care less. TVB does that to you when they haven’t filmed a good drama series in about 20 years. 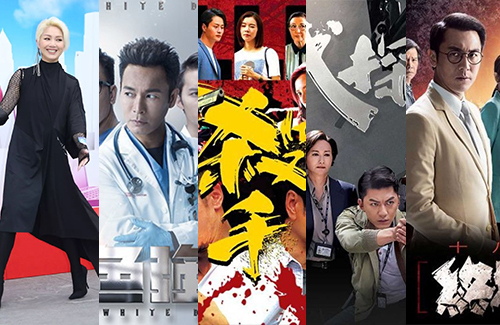 In 2018, I’ve watched ZERO TVB drama series from beginning to end as there were no series that interested me. TVB may break that streak in 2019. You’re better than me – so far, there are ZERO upcoming TVB series that I’m even remotely interested in watching. 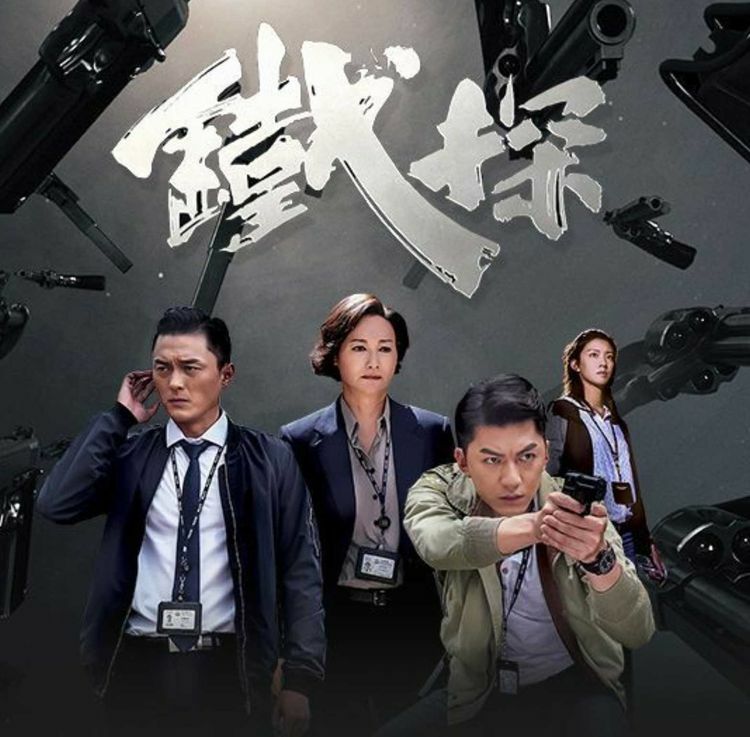 On the other hand, we’re finally starting to see traction with the other stations moving forward on their series so for me, 2019 will be about them more than TVB. In addition to the news that Fox Asia’s “Stained” will premiere on January 7th, there’s also the possibility that the long-anticipated wait for OCTB season 2 might be over soon, as Justin Cheung posted on his social media last week the cover for season 2’s script and hinted that they’ve already started filming. And there’s also ViuTV’s 2 series (the one starring Sheren Tang / Sunny Chan and the other starring Liu Kai Chi / Amy Chan) that will likely come out early 2019 as well…now those are series that I’m excited for! I can’t believe Ali Lee is like all the way back on that poster. Helloooo she’s tv queen. Only thing that seems promising for now is Kara Hui. The other dramas will depend on how good the plot and editing is. Natalie needs to redeem herself worthy of being lead actress. Ali did an impressive job in ‘baby’. she deserves to win the TV queen award. @bubbles23 maybe it’s just an old poster as for an sample? if the real drama comes out she might be the very front? Just like some of the drama when the real one comes out you will see the poster in a different way. Zero? You named your character Zero???? Who are the people naming these people? It reminds me of The Hippocratic Crush 1 where they named the dog Ugly…. Can the scriptwriters not use weird names please? @tungamy lol seriously who names’s These people… in fist fight, fever, sitting, zero, iron…. and the blind lawyer drama, Ali Lee’s character was named Never Wong, along with so many bad puns. 1 sounds like love story between older woman and younger man? Not interested. Am interested in 2 and 5. 2 sounds like New Amsterdam, if lead is sick with cancer, definitely copied from new amsterdam. I just hope Clear! is Clear! and not Krearrrr! 4 I will watch for kara hui. Story looks good but Benjamin YUen is a turn off for me. In the end everybody is a mole and spy perhaps? And no wuxia series at all? None? Come on TVB, at least remake JTTW if you dare. Am praying tvb wont remake good doctor. Please don’t. @funnlim I dont think TVB will ever make a wuxia series ever again. Can’t remember the last one. There’s always China and Taiwan still doing them, although they’ve never really struck the same cords with me like HK wuxia series did…. They all seem okay to me accept wonder women? We’ll see. @cutie777 Yes, I want to watch for Pakho Chau but the one w/Roger Kwok OMG…I couldn’t continue after a few episodes even for him I couldn’t..lol…It was bad even from the beginning. I don’t like Miriam Yeung at all as she can NOT act she should really just stick to singing. But who is the main male lead thou? Raymond guy or Pakho? I am thinking no way it’s Pakho as he must be much younger right and Raymond W is probably leading a series than Pakho even thou RW also is a so so actor. Miriam has been really lucky , she always gets the hottest boys like Daniel Wu, raymond wong, Wallace huo, Shane yu, and now Pak ho. So lucky.